Let's get real. LOTS of teachers use Facebook, and not just in their personal lives. Plenty of teachers are also turning to Facebook (and Twitter, Instagram, and Snapchat, too!) as communication platforms in their classrooms and schools. 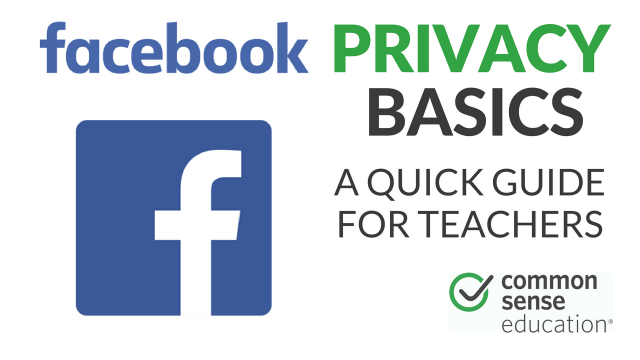 Unfortunately, there's a lot for teachers to know about when it comes to managing your Facebook privacy settings. This video offers a breakdown of Facebook's privacy basics, with a nod toward what's important for teachers. For more privacy tips and resources, check out our Protecting Your Students' Data and Privacy page.